Keeping your vehicle in excellent condition is easy when you bring your car to our service center for professional, reliable maintenance and repair, but did you know that you can also save on service when you take advantage of our service coupons? 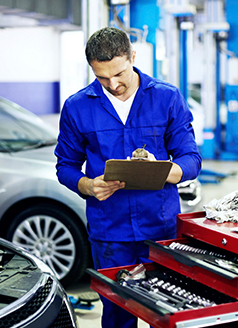 Here at Klein Auto, we know how crucial routine maintenance is to the performance, safety, and overall health of your vehicle, so we offer a rotating selection of specials to help you save on the services your car needs most. Is your car's next service interval creeping around the corner? Before you schedule an appointment with our service center, make sure you check our service specials for ways to save on popular maintenance items like oil changes and tire rotations. We offer a variety of service coupons, discounts, and other offers to help you get your vehicle the expert care it needs for a fabulous price. Our service specials change frequently, so we urge you to bookmark this page so that you can keep an eye on our latest service offers. After all, we wouldn't want you to miss out on an amazing deal! Check back on our service specials from time to time for more exciting deals that could help you shave some of the cost off your next auto maintenance appointment. If you have any questions about any of the service specials you see on this page, feel free to get in touch with us. We'll be happy to supply more information and get you on the books for an appointment with our team of expert technicians! Our service center is conveniently located near Appleton, Pulaski, Shawano, New London, Waupaca, and Hortonville.